This retrospective report tells the history of how the National Scientific Council on the Developing Child came to be, what its impact has been, how its members work, and why the Council has made a difference. Suggested citation: Center on the Developing Child at Harvard University (2014). 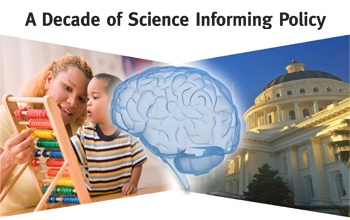 A Decade of Science Informing Policy: The Story of the National Scientific Council on the Developing Child. Retrieved from www.developingchild.harvard.edu.